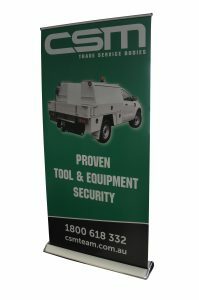 Quantum Marketing design and supply teardrop banners, bow banners, rectangle flags and pullup banners to companies all over Australia. 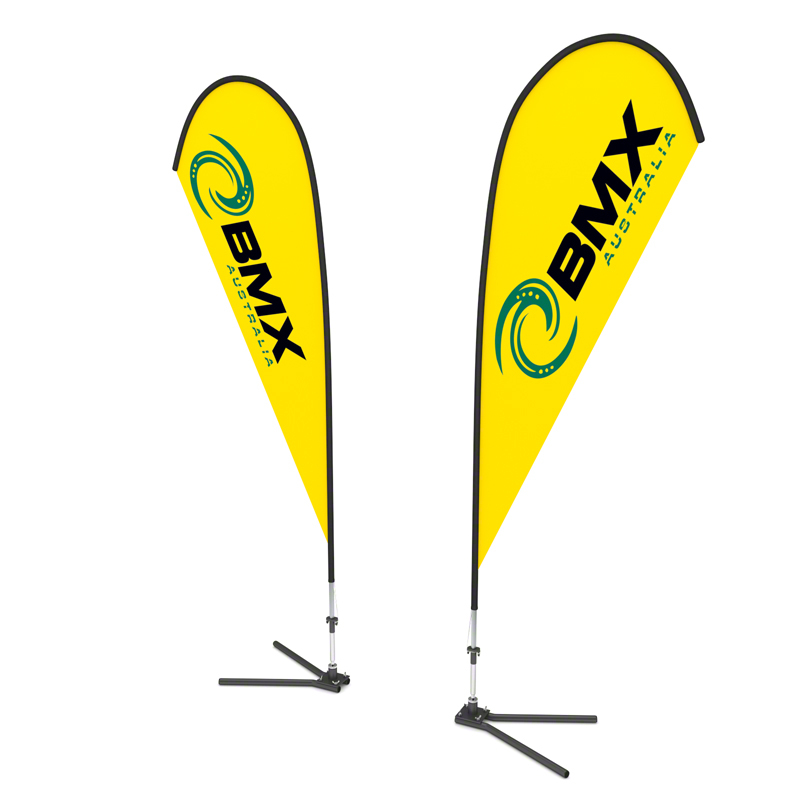 Available in 3 different styles and 3 heights, our flags are perfect for those outdoor events or getting attention at your shopfront. 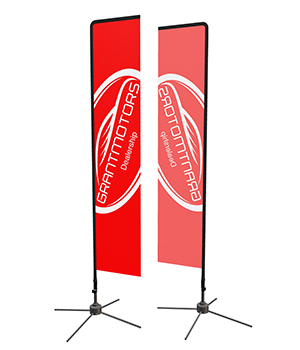 Most commonly seen at car dealerships, local market stalls and sporting events these flags are the perfect way to get your brand noticed. Ordering over 20 banners at a time is a great way to get significant savings as we use our overseas factories and ship them on sea freight. (8-10 week lead time) You can expect savings of up to 50% compared to standard pricing using this method! Standard lead time is only 1 week from signoff to dispatch. For this option we print onto 1 piece of fabric that allows the ink to bleed through and show on the reverse side. This results in the back of the fabric displaying the printed artwork in a mirror image - with the colours being less vibrant. 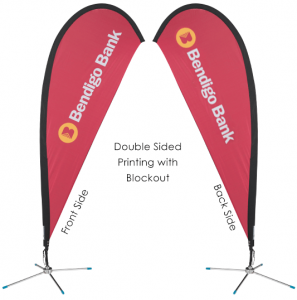 This option is slightly more expensive as we print two separate pieces of fabric from two different files, one for the front of the banner and one for the back. We then add a blockout fabric material in between the two printed flags which ensures that the printed image on the other side will not show through. All three pieces of fabric are then carefully sewn together to create the double sided flag. This results in having the image on the banner looking the correct way from both sides. Claim Your Free Design and Mockup Now! Send us your details using this form and we will be in touch to request your logo, design theme and details of what you are after. We always aim to have it back to you the same day! There's no obligation - we pride ourselves on providing the absolute best value for all our clients, partners and stakeholders, and this is where it starts. Giving you something of valuer that you can use wherever you like! 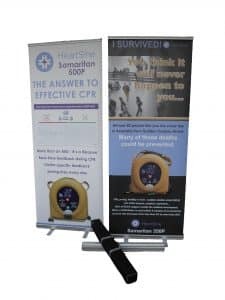 Our Pull-up Banners are available in many different widths with the standard height of 2000mm. We print at a very high resolution and use a very smooth & durable banner material. The banner stand comes complete with a carry bag. They are perfect for those expos that you need something at short notice for or even if you are just on a tight budget. 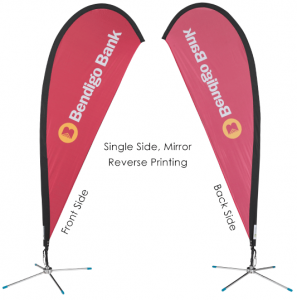 The Standard Budget Rollups are the most cost efficient retractable banner systems. They are a very light weight Aluminium system which makes them economical to transport. Comes with a 12 month warranty on the hardware. The Rite Budget Rollup can be used for events, Exhibitions or retail promotions. 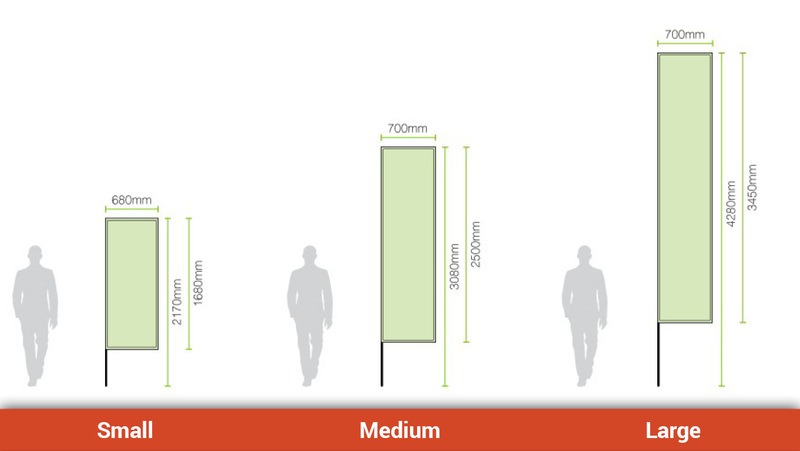 The most common size is 850mm wide however we are able to supply this banner in sizes of 600, 1000 and 1200mm widths. The Rite Jewel Rollups are a high quality retractable banner system. They are light weight anodised aluminium body with sleek chrome endcaps & front trim. It has a heavy duty clip toprail and comes with a quality padded carry bag. Comes with a 3 year warranty on the hardware. 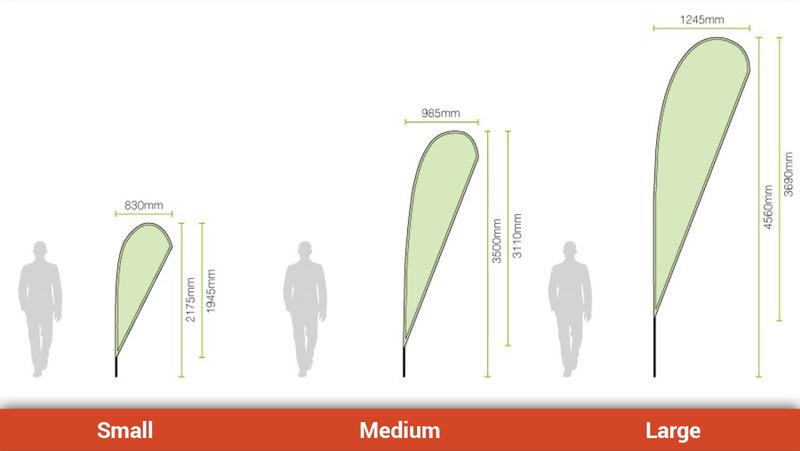 Common size is also 850mm wide and we also have it in the following widths: 600, 1000, 1200, 1500, 2000, 3000(mm). 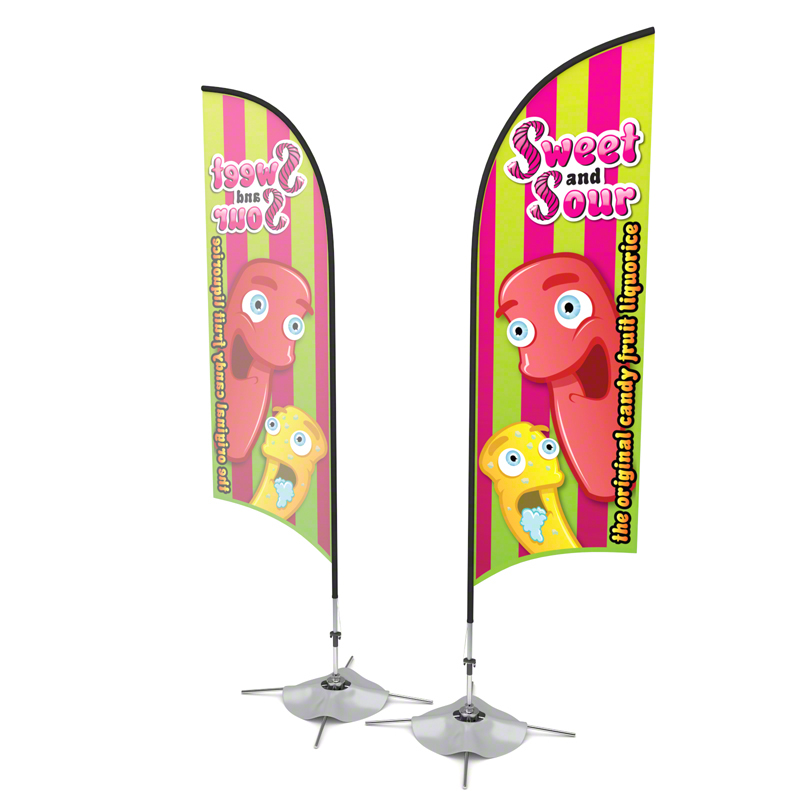 Quantum Marketing also supply a full range of vinyl banners that we custom make to any size you require. 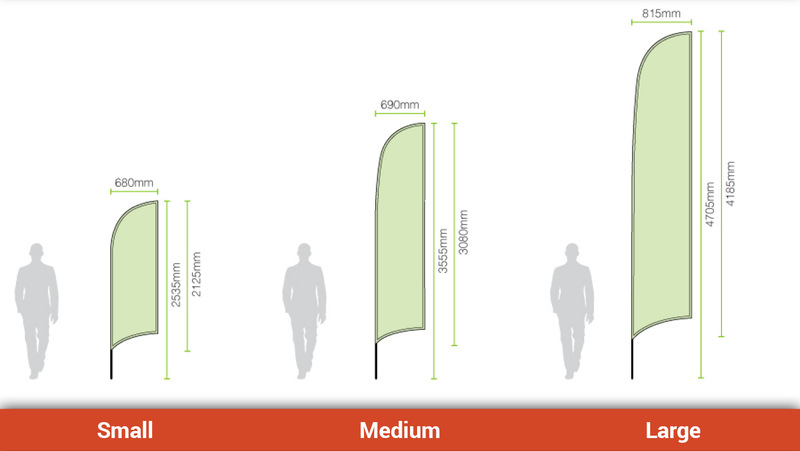 We are also able to produce fabric flags for flagpoles as well as fabric banners for wall hangings or fence mesh. Get in touch with the team and let us know what you are after!